1954 crew members on foredeck. 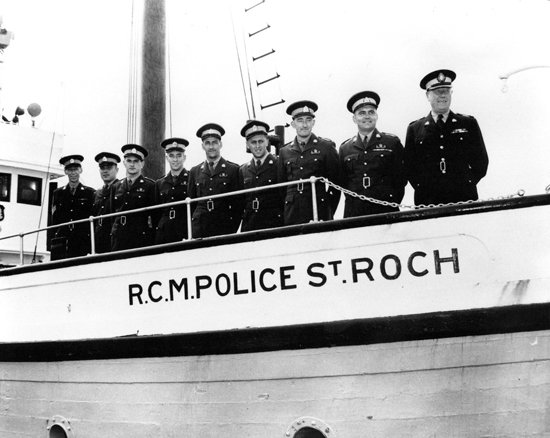 As this list of men serving aboard St. Roch is compiled alphabetically. Some men may have been aboard for the entire year only or one month during that year as a crew member. It is possible someone was aboard St. Roch for a short passage but was not recorded as crew and, consequently, does not appear on this list.